in Kingston teaches discipline & self confidence ! Would you like to give your child an early advantage that will last throughout life? 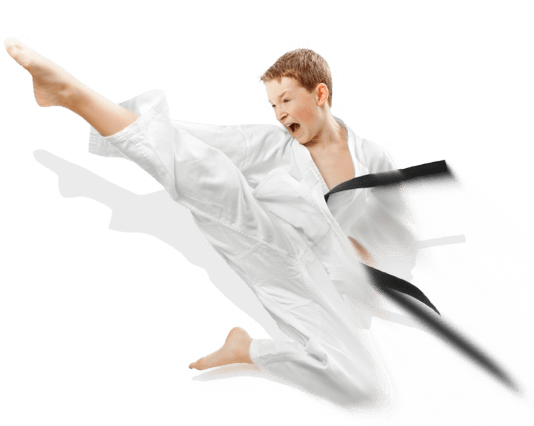 We design each kids Karate class to suit your child's age, abilities and skill levelùso whether your child is just starting out in karate for kids or has already received several belts, Thurston Academy will bring out the champion in your child! From a killer workout that will give you the perfect body, better health and leave you feeling nothing short of amazing, to the invaluable life saving self-defense skills you'll acquire, there are so many reasons to give Thurston Academy's adult Karate classes a try. Ladies, are you sick and tired of all the fad diets and so-called miracle fitness programs that have given you nothing but disappointment? If you're serious about effortlessly losing weight and getting into great shape quickly, then the women's kickboxing fitness classes at Thurston Academy of Martial Arts are just what you need!